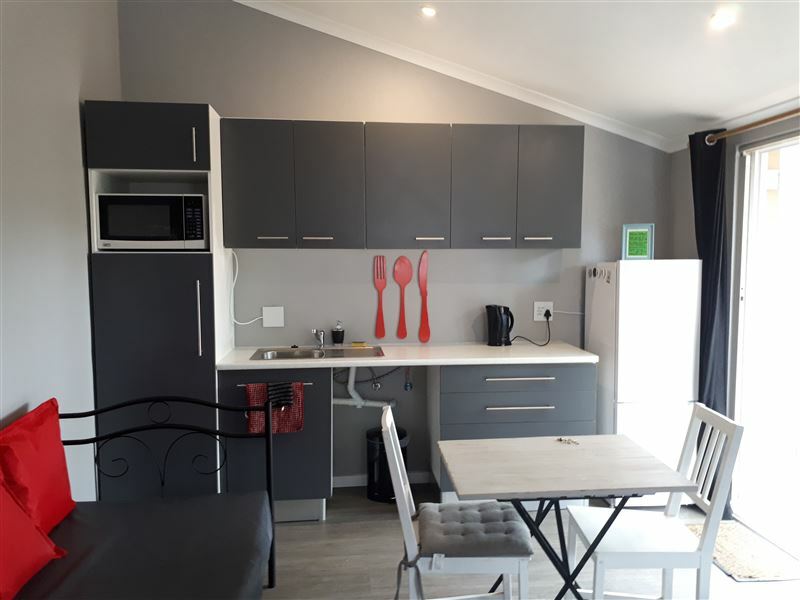 Curious Giraffe is a beautifully appointed bachelors flat situated in Stellenbosch, close to many shops and restaurants. This open-plan unit features an double bed with an optional bedding for a single daybed. The unit has a flat-screen TV with full DStv access and a private bathroom. The kitchenette is equipped with a microwave, an induction plate and a fridge. There are double doors opening up onto a private courtyard with braai facilities and outdoor furniture. Secure off-street parking is available, and pets are welcome by prior arrangement only. 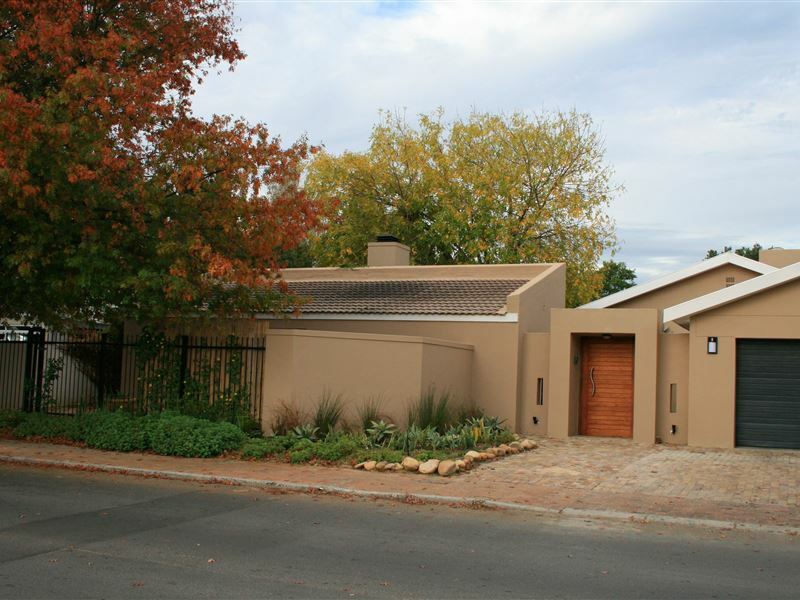 Ideal for a couple for a short stay in Stellenbosch. Conviently close to a Superspar and al the basics for self catering even a braai but with so many lovely restaurant in Stellenbosch there is little motivation to cook . What a pleasant stay! Quiet, clean, tastefully done. Everything you need in a self-catering unit. Well positioned too. Very pleased I chose Curious Giraffe. Attending a wedding meant slightly inconvenient arrival and departure times but even though I stayed only one night Curious Giraffe made a plan, which was really appreciated given a one night stay on a public holiday weekend is hardly worth the hassle for them. Also great value. Thank you. Recommended. Request a quote from Curious Giraffe at no obligation. Pets are permitted at Curious Giraffe. Prior arrangement is essential. Contact the establishment to confirm pet types and sizes allowed.